Recently, Dr. James E. Vogel was featured in the September 2013 edition of Plastic Surgery Practice, a monthly publication featuring news and information for plastic and aesthetic surgery professionals. 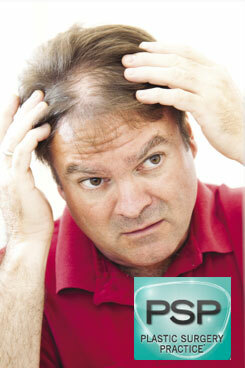 In an article titled, “Breaking Bald,” Dr. Vogel was asked to discuss the topic of hair transplant revision. Plastic Surgery Practice selected Dr. Vogel as an expert for this piece due to his extensive experience with both initial and revisional hair transplants. In the article, he explains many men who had hair transplants when they were younger are now experiencing progressive hair loss, which makes the unattractive “pluggy” appearance of transplants from the late 1980’s and early 1990’s even more obvious. These patients are often left upset and confused, unsure of what they can do to fix the problem. A procedure that was intended to improve their appearance and confidence is now causing feelings of insecurity for many of them. Dr. Vogel explains how he approaches these patients and what can be done to restore their appearance and self-confidence, as well as what important advancements have been made to improve hair transplants over the years. Read the article in its entirety here, or download the digital interactive edition of the periodical at PlasticSurgeryPractice.com. For more information about hair transplant revision, or to schedule a consultation with Dr. Vogel, please contact us today.